Tags are values used to group devices. 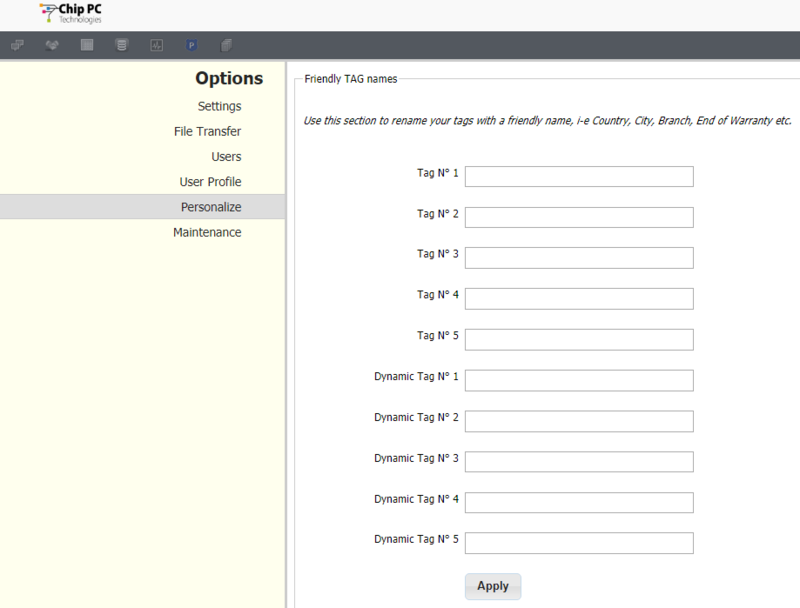 Refer to the using tags for custom grouping section for further details. The Personalize section (Settings > Open Settings Panel > Personalize) allows administrators to set custom tag text to provide a better user experience. For example, enter City in the TAG N°1 field and Display Resolution in the Dynamic TAG N°1 field to have Xcalibur W use City and Display Resolution in the GUI wherever TAG N°1 and Dynamic TAG N°1 would normally appear. Assign a friendly name to each tag field, and then click Apply.